A Mosaic Artist is very creative. 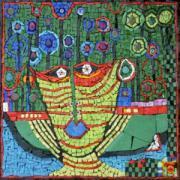 A Mosaic Artist creates colourful images and pieces of art from small or broken pieces of glass, stones, tiles, ceramics, metal, mirrors and beads etc. A Ceramist is a professional artist who makes a living from making things out of clay. Do you have an eye for detail? Are you good with your hands? Would you like to leave a ‘mark’ on other peoples’ treasures? If so, maybe becoming an Engraver, is the right career path for you. An Engraver is a skilled artisan. They engrave (‘cut’) delicately fine graphics or lettering into different types of material. 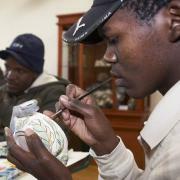 An Engraver or Etcher is a trained individual who is able to put images or lettering onto various items. Gas Practitioners are in demand! They’re specialised tradespersons. 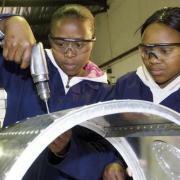 They are registered with SAPGA and authorised by the SAQCC (Gas) to conduct work in the pipeline natural gas industry. 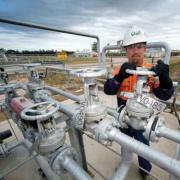 Qualified Gas Practitioners may work on domestic, commercial or industrial levels. Hairdressers cut, colour and style both mens’, womens’ and childrens’ hair. 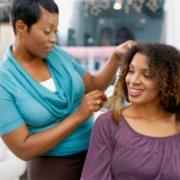 Hairdresser are highly skilled, creative and talented people. Radiotricians install, test repair and maintain radar and radio equipment for aircraft, ships and other forms of transport. Signwriting these days is usually done by a computer-driven signwriting company. However, some clients still prefer a traditional Sign Writer. 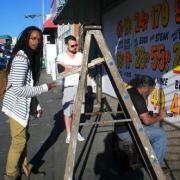 A traditional Sign Writer will paint by hand the sign (logos and lettering) where required. Are you responsible? Are you dependable? 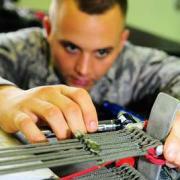 Are you passionate about working in the military? Think about becoming a Survival Equipment Fitter. This just may be the job you’re looking for! A Telecommunications Cable Jointer works in telecommunications. 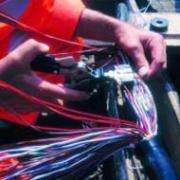 They are in charge of cable installations and repairs to copper and fibre optic cables. They work on cables in underground pipes, and overhead systems.